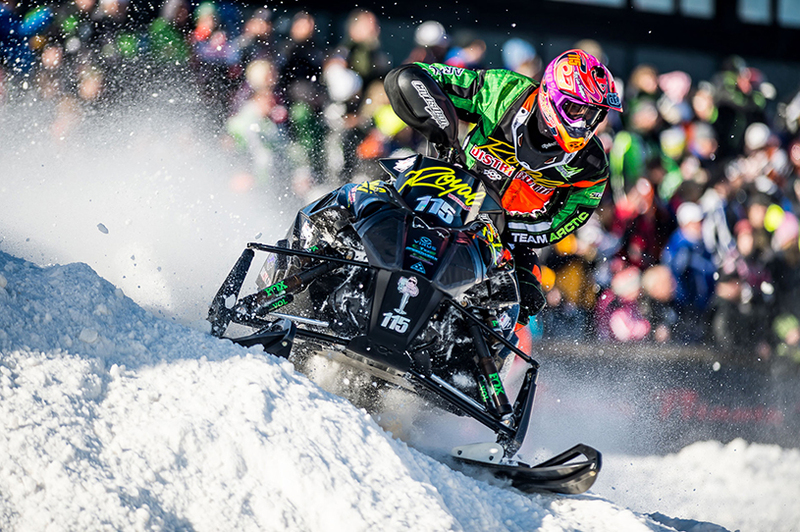 Fertile, MN (December 1, 2015) - The Duluth National Snocross kicks off a 17-race ISOC National snocross schedule for the Christian Brothers Racing team. Just a couple weeks ago, mild temperatures still plagued the Midwest, but this past weekend the slopes of Spirit Mountain in Duluth, Minnesota, were covered in snow for the team's first competitive outing of the race season. New Pro Open class rules greeted CBR racers Logan Christian and Dave Joanis. The Pro Open finals now feature inverted starts, so the top qualifier gets the last choice on the front line, but you still have to do well in heats since riders get points. It's a double-edged sword of a rule aimed at making racing more exciting. 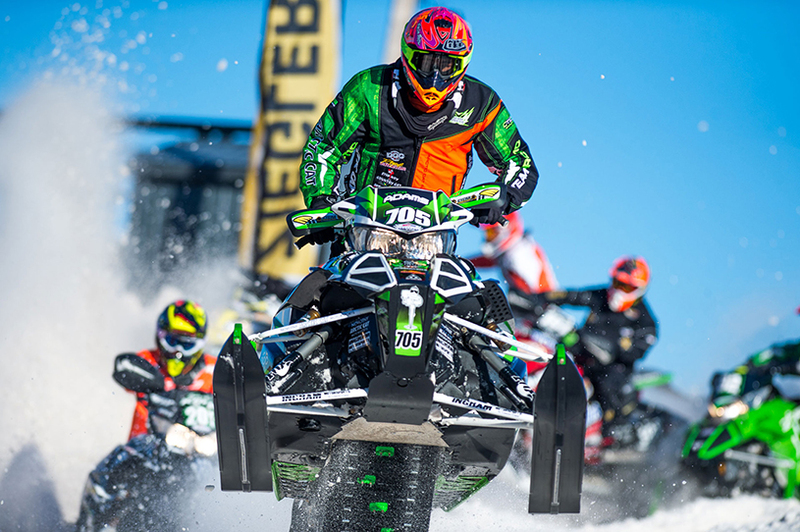 Dave Joanis piloted his Royal Distributing/Arctic Cat sled to the front of qualifying both days notching four holeshots and three wins. Joanis put in steady rides in the finals, scoring a 6th place in Round #1 and an 11th place finish in Round #2. "Qualifying went awesome and I had a decent ride on Saturday finishing 6th in the final," said Joanis. Sunday I made a mistake on the start of the final and could only get to 11th. I'm looking forward to working on the things I need to do to improve before Fargo." 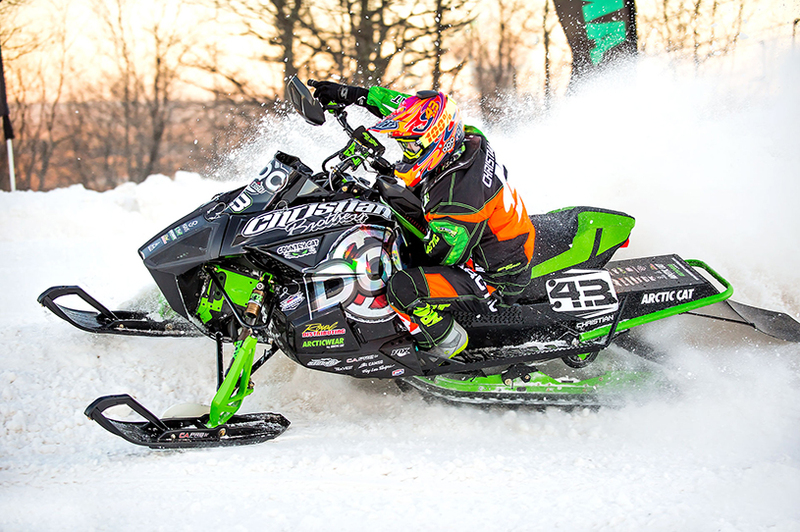 Doc360/Arctic Cat rider Logan Christian had a weekend filled with ups and downs. While leading the first round of Saturday's qualifying, Christian collided with a downed sled just before the finish line and went from 1st to 5th. In Round 2 of Saturday's qualifying, Christian capitalized on a great start to finish 2nd. In the opening lap of the final, Christian was pushed wide off the track where he took a hard hit. The diagnosis? A concussion, which ended his weekend early. "I had a crash that took me out for the weekend, but I will be back strong for the next race in Fargo," said Christian. "Overall we were happy with how the sleds worked as well as with our new gear. We're excited the season is underway!" The Pro Lite class is known for having a deep field of talented riders, and at Duluth it's even deeper because the race attracts riders from other circuits and even from overseas. All this meant Tyler Adams would have to be on his game if he wanted to be a factor at Duluth. The Christian Brothers Racing/Arctic Cat rider won the LCQ to get to Sunday's final where he finished 10th. He battled hard on Saturday but wasn't able to get into the final that night. "The weekend didn't go the way I needed it to," said Adams. "But we will regroup, learn from our mistakes and rebound in Fargo." 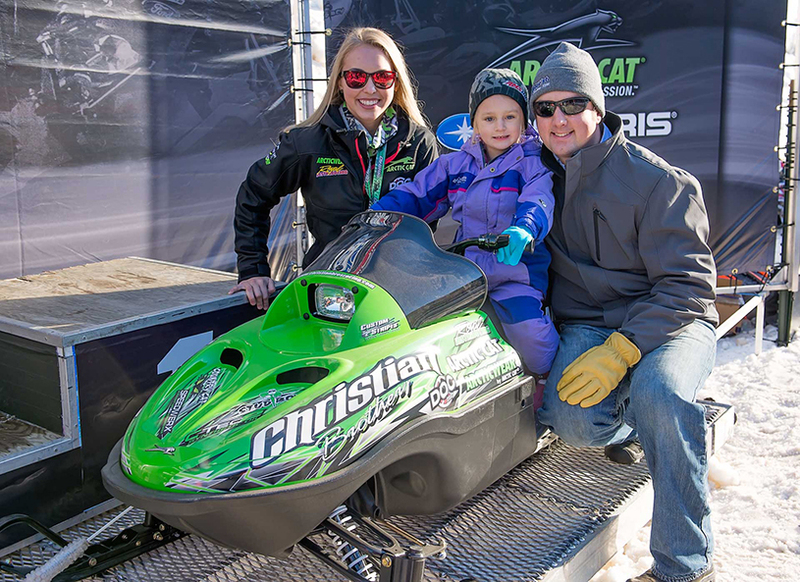 Young Kendall Kolquist was the big winner of Sunday's 120 snowmobile giveaway courtesy of Christian Brother Racing and Arctic Cat. Kendall signed up at the race and her name was picked at random from a pile of entries. Kendall's new sled was presented to her on the Duluth podium after the 120 race. It is the first of eight Arctic Cat ZR 120 snowmobiles this season. Any child 10 or under can win, but you have to sign up at the Christian Brothers Racing merchandise trailer at the event and be present at the time of the giveaway. With Duluth in the books, that leaves 15 snocross nationals on the CBR calendar, in addition to Winter X Games set for this upcoming January. Follow the team this season on Facebook, Twitter, YouTube and Instagram. For more information on Christian Brothers Racing visit www.christianbrosracing.com.